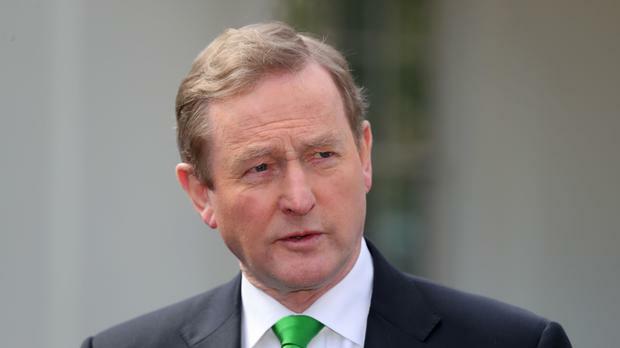 European leaders should draw lessons from the Irish Government's crackdown on gangland crime in Dublin's north inner city as they begin the Brexit negotiations, according to Enda Kenny. In his first speech delivered overseas since his departure from office, the former Taoiseach spoke about his experience dealing with inner-city residents who lived in an area "eviscerated" by drug gang warfare. Mr Kenny said: "They told me, too, that they were angry. Angry at how they seemed to live their lives in a headline. "Angry that the 'public' face of the north inner city bore no connection to the decent, private reality lived by its people. "But they were beyond angry at the procession of politicians announcing 'here's what you need', without any of them asking 'what would you like?'" The former Fine Gael leader said that while the UK's decision a year ago to leave the EU represented a shock to Europe, for Irish people "it was so much more". Addressing the Times CEO summit in London, Mr Kenny said it was now clear there was no more "business as usual" as a result of Brexit. "Of course, as democrats, we accepted your decision, even if it was by such a narrow margin," Mr Kenny said. "But as friends, as family, we wondered. "When people had spoken about 'taking their country back', were they asked often enough, 'OK, but by how many years? And back to what?'. "On TV, we saw many decry what they called 'all the immigration'. Some did so in Irish accents."